Saying yes to all 3 questions is just one of the struggles our clients with children face. And because of know of this, we like to share Facebook posts that help them find the right balance for them. Last week, we posted about Dyson’s mini vacuum cleaner and never expectedthat to become a gender issue. Unfortunately, Dyson did show a girl in the post. Still, for us, it’s not about gender. Boy or girl, all children will need to learn how to clean. They should also take classes in woods/shop, car mechanics, home economics, budgeting 101, time management,… For us, it’s about life skills! 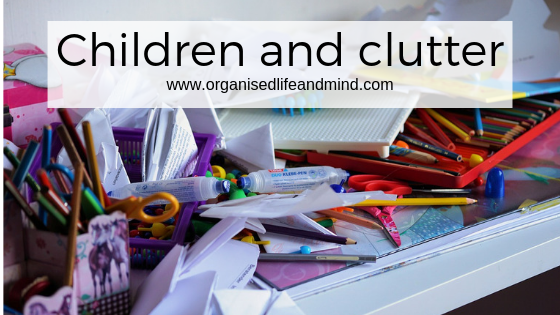 How does clutter impact children? You may not even know it. Clutter has not only an impact on you but also your kids. 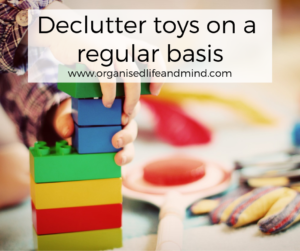 Living in a cluttered home provides your kids with less room to develop. Cluttered areas prevent the ability to focus, thus limiting their ability to expand and explore. They’re overwhelmed by the choices and stuff surrounding them. You may have heard about Peter Walsh’s book “Lose the clutter, lose the weight”. Letting go of the unnecessary or unwanted items in your home can also help you live healthier. Knowing what you have in your fridge and pantry, you can create delicious meals at home. Snacks for on the go also tend to be healthier and not just chocolate bars bought at the petrol station. Messy homes also lead to higher stress levels. Searching for papers and keys, being late for play dates and appointments,… add the regular work or daily activities and you may get a short fused parent. It’s no fun for them or their child. How to involve your children? Parents who are consciously deciding “enough is enough” can also involve their children. Joining the decluttering journey, children learn the same values as their parents. It’s a joint family challenge, undertaking, life style choice, however you may want to call it. Depending on their age, children can become actively involved. Teenagers can review what clothes no longer fit or what they no longer wear. They could bag it up and if well-kept, they can take it to the donation centre with you. If they want to make some extra money, help them sell the items at a flea market or garage sale. For younger children, you can introduce the rule of “one in, one out”. You won’t be creating extra space, still, you’re limiting potential overflow of stuff. Younger children can also choose which toys they no longer play with it. Thinking of Christmas, it’s a wonderful time where their old toy can make another child happy. One of the FB groups I belong to, a member shared her story. Her 12-year-old son reminded her that what she was going to buy was not really what she wanted or even needed. If a child that age can differentiate between needs, wants and unnecessary, you can do it, too! 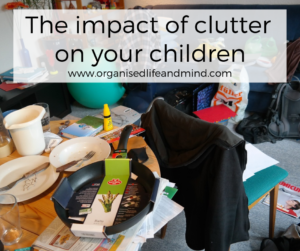 What are your children decluttering? Tell us about your family. Who is all involved in the decluttering journey? How are your children learning to let go? Looking forward to reading your replies!